Your company has been sued for wrongful death. The suit was filed after a vehicle owned by your company was involved in an auto accident. The accident resulted in the death of another driver. What is wrongful death? Is a wrongful death claim covered by a liability policy? This article will answer those questions. 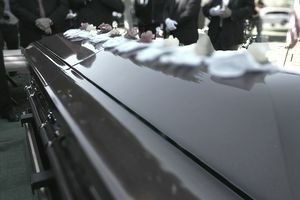 A wrongful death claim is typically filed by close family members of a person who has died due to the negligence or misconduct of another party. The claim is intended to compensate these individuals for financial losses they have sustained due to the death. Family members may sue the person responsible whether the act was accidental or intentional. A wrongful death action may be filed after a criminal trial. To win a criminal conviction, prosecutors must prove that a defendant is guilty beyond a reasonable doubt. The requirements are lower in a civil court. To win a civil trial, a plaintiff must show that the defendant is liable based on a preponderance of the evidence. Thus, a defendant may be found liable in a civil trial even if he or she was exonerated in a criminal trial. State laws specify which parties are entitled to damages in a wrongful death claim. These typically include the deceased person's spouse and children. In some states, they may also include stepchildren, domestic partners, and parents if these individuals are dependents of the deceased person. The fact that someone is a relative of the decedent (deceased person) or is named in the decedent's will does not guarantee that he or she can receive damages in a wrongful death suit. As a general rule, a person is eligible for damages only if he or she had a close relationship with the decedent. All parties seeking damages for a wrongful death must join a single suit. This ensures that the defendant won't have to defend multiple suits stemming from the same death. In some states, the suit may be filed by a family member. Other states require the suit to be filed by a personal representative of the deceased person. The representative is appointed by a court. Once a wrongful death claim has been settled, the damages are distributed to the claimants. State law determines how the damages are apportioned. Wrongful death claims are subject to a statute of limitations. It means that claims must be filed within a specified time period of the death. The limitation period is typically two or three years. In some states, the statute of limitations begins running at the time of the injury rather than the time of death. Many states prohibit punitive damages in wrongful death cases. An exception may apply if the death was due to an egregious act committed by the defendant. A wrongful death suit may be filed against your business anytime a person dies due to an accidental or intentional act committed by an employee or anyone else for whom your business is vicariously liable. The suit may be filed against your business, your employee, or both. A claim may occur after a death caused by an auto accident, medical malpractice, a faulty product or an accident that occurs on your premises. A work-related death of an employee can also generate a wrongful death suit. Under commercial liability policies, wrongful death claims are treated in the same manner as other bodily injury claims. If the plaintiff can show that your (or your employee's) negligence triggered the accident or occurrence that caused the decedent's death, the claim may be covered by your general liability, auto liability or other liability insurance. Note that liability policies do not cover claims stemming from acts that were intended to cause harm. A wrongful death claim that results from such an act will not be covered by your liability insurance. In some states, the defendant in a wrongful death suit may also be subject to a survivor lawsuit. A survivor suit is brought by the decedent's estate, not by individual family members. A survivor suit may be permitted if the deceased person lived for some time after the accident. The estate may seek damages for pain and suffering the decedent endured after the injury and before his or her death. The estate may also sue to loss of wages and benefits. Damages awarded to the estate are distributed to the decedent's heirs based on a will or other legal document.